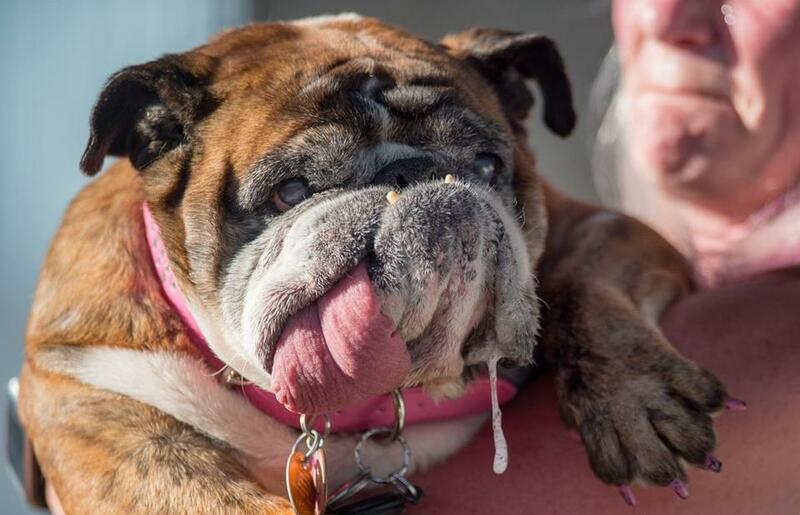 Zsa Zsa, an English Bulldog, drooled while competing in The World&apos;s Ugliest Dog Competition. Owner Megan Brainard of Anoka, Minnesota, told NBC’s ‘‘Today ‘‘ that Zsa Zsa died in her sleep Tuesday. Brainard says the dog was staying with her father and he found she had passed away when he got up in the morning.